Watch the Mr. Media interview with detective fiction writer Max Allan Collins, author of ‘Seduction of the Innocent’ and’ ‘Complex 90 ‘ (with Mickey Spillane) by clicking on the video player above!Mr. Media is recorded live before a studio audience of Dr. Frederic Wertham fans – okay, just two prickly old broads who still think comic books are the root of all evil in America… in the NEW new media capital of the world… St. Petersburg, Florida! 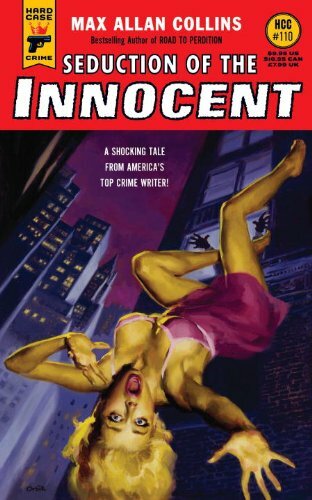 Order ‘Seduction of the Innocent’ (Hard Case Crime) by Max Allan Collins, available from Amazon.com by clicking on the book cover above! Do you ever hear a voice in your head when you read a book? For example, if you read the – God forbid – autobiography of Justin Beiber, would you imagine the Biebs reading it to you? Well, ever since my first interview with novelist Max Allan Collins, I can’t help but read his detective stories and hear his voice unraveling the narrative and dialogue. 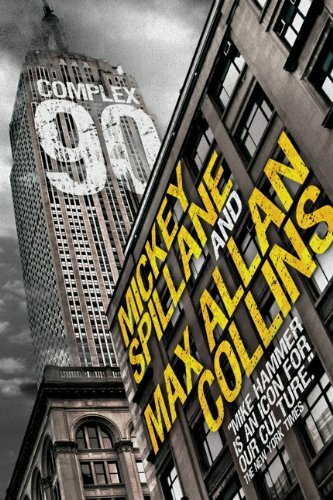 Order ‘Mike Hammer – Complex 90’ by Mickey Spillane and Max Allan Collins, available from Amazon.com by clicking on the book cover above! That was particularly true in Seduction of the Innocent, a wacky twisting of realish people and false situations that anyone with a sense of comic book history will enjoy if for no other reason than to see creepy Dr. Werner Frederick get knocked off. It’s a roller-coaster ride of four-color goodness. And in reading his other new book, the Mike Hammer story Complex 90, I swear I hear Max in the narrative and his posthumous co-author Mickey Spillane in the conversations between Hammer and everybody.